While daylilies are normally free of problems, many varieties are actually prone to scape blast. So exactly what is scape blasting? Let’s learn more about daylily scape blast and what, if anything, can be done about it. Scape blast in daylilies, also occasionally referred to as scape cracking or bud blasting, is typically a sudden bursting, cracking, splitting or breaking of the scapes – usually in the middle. The scape includes the entire flower stalk located above the crown. It is leafless with exception to a few bracts here and there. With this type of daylily bud blast, the scapes may appear to break off horizontally (though sometimes vertically) or explode. In fact, this condition derived its name from the pattern of damage that occurs, which commonly resembles a blown-up firecracker with sections of the scape bursting in all directions. When scape blasting, or daylily bud blast,occurs, it doesn’t necessarily sever the entire bloom. In fact, it may happen in one of two ways – complete, where all the blooms are lost OR partial, which may continue to bloom as long as the cambium layer is still attached. In some cases, the blasting may create a clean break similar to that of being cut with shears or even a vertical rupture down the length of the scape. Look for signs of scape blast in daylilies just prior to bloom time as the scapes rise from the plant. 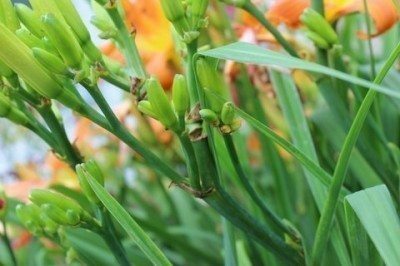 What Causes Scape Blast in Daylilies? Internal pressure that has built up as a result of irregular watering or over watering following drought (such as with heavy rains) – similar to cracking in tomatoes and other fruit – is the most common cause of scape blast. 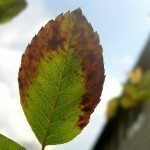 Extreme temperature changes, excess nitrogen and fertilizing prior to increased soil moisture may also contribute to this garden plant phenomenon. 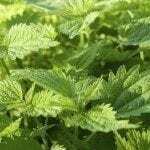 In addition, scape blasting seems to be more prevalent in tetraploid species (having a single unit of four chromosomes), likely due to their less flexible cell structures. Keep daylilies adequately watered during periods of drought. Put off fertilizing until later in the season (late summer) when plants are gathering energy for next year’s blooms. Do not fertilize when it’s been dry. Cultivars more prone to scape blasting should be planted in clumps rather than individual crowns. Slightly increasing boron levels in the soil (avoid excess boron) before scapes emerge in spring using fresh compost or a slow-release organic nitrogen fertilizer, like Milorganite, may help as well. Once scape blast happens, there’s really little you can do other than make the best of it. Remove completely blasted scapes not only for appearances, but this may also help make way for any new scapes. For those only partially affected, you can try supporting the blasted area with a splint. This is normally achieved by using a Popsicle stick attached to the partially severed scape with duct tape. Read more articles about Daylilies.